Jussie Smollett Allegations: A Timeline Of What Happened When A lot has happened in roughly two months — from the Empire actor's initial police report in Chicago to prosecutors' decision to drop the charges against him. Here's a brief history of the key dates. Actor Jussie Smollett after his court appearance at Leighton Courthouse on March 26, 2019 in Chicago, Illinois. This morning in court it was announced that all charges were dropped against the actor. Here's an attempt to plot that tortuous path for those at home who might be, understandably, quite confused. Just scroll down to read the timeline in order, complete with links to NPR's previous coverage, or click on an date below to jump to a specific incident. Smollett, who is black and gay and plays a gay character on Empire, says he received a letter at the Chicago studios where the show is filmed. Inside the letter — according to the actor — were a then-unknown powder, a drawing of a stick figure hanging from a tree, and cutout letters stating: "Smollett Jussie you will die black f***." "The return address said in big red, you know, like, caps: MAGA," the actor later explained in an interview with ABC News, referencing an abbreviation of President Trump's campaign slogan, Make America Great Again. According to a Chicago police spokesman, speaking later with Fox News, the department turned an investigation into the letter over to the FBI. Smollett tells police that he was brutally assaulted overnight in downtown Chicago. In his report, he says two individuals yelled racist and homophobic slurs at him, beat him up, poured a chemical on him, and left him with a rope wrapped around his neck. Local police acknowledge they are treating the incident as a "possible hate crime," and popular outrage erupts — including from celebrities and national politicians. Smollett releases an official statement, his first public comment on the alleged attack since his police report surfaced. "Let me start by saying that I'm OK. My body is strong but my soul is stronger. More importantly I want to say thank you. The outpouring of love and support from my village has meant more than I will ever be able to truly put into words," he said in his exclusive statement to Essence magazine. His family also releases a lengthy statement. "We want to be clear, this was a racial and homophobic hate crime," they say on Instagram. "Jussie has told the police everything from the very beginning." Smollett gives his first televised interview since the alleged attack. In a conversation with journalist Robin Roberts on Good Morning America, the actor says he's "pissed off" — not only at the alleged attackers, but also at doubts about his account that have begun circulating, partly predicated on his apparent delay in turning over his "limited and redacted" phone records to police. "You know, at first it was a thing of, like, listen, if I tell the truth then that's it, because it's the truth," he said with tears welling in his eyes. "Then it became a thing of, like, oh, how can you doubt that? Like, how do you not believe that? It's the truth. And then it became a thing of, like, oh, it's not necessarily that you don't believe that this is the truth. You don't even want to see the truth." The same day the interview airs, authorities quietly apprehend two men at Chicago O'Hare International Airport. Police later say the pair, identified as African-American brothers Abel and Ola Osundairo, were returning from a two-week trip abroad. Police also explain that the brothers were previously linked with Empire. Around the time of the apprehension, police release few details, merely announcing that they have "identified the persons of interest" in the Smollett investigation. After nearly 48 hours in police custody, the brothers agree to cooperate with investigators and implicate Smollett, saying he orchestrated what they describe as a faked incident. The two men are released from custody at the end of their legally allowed hold time. A police spokesman issues a statement slim on details and mysterious enough to elicit further questions: "Due to new evidence as a result of today's interrogations," Anthony Guglielmi - the Chicago Police Department's Chief Communications Officer - tweets, "the individuals questioned by police in the Empire case have now been released without charging and detectives have additional investigative work to complete." Two days later, he says they intend to speak again with Smollett. The top prosecutor in Chicago, Cook County State's Attorney Kim Foxx, announces that she is recusing herself from the Smollett investigation. Shortly afterward, her office explains that she did so "out of an abundance of caution." 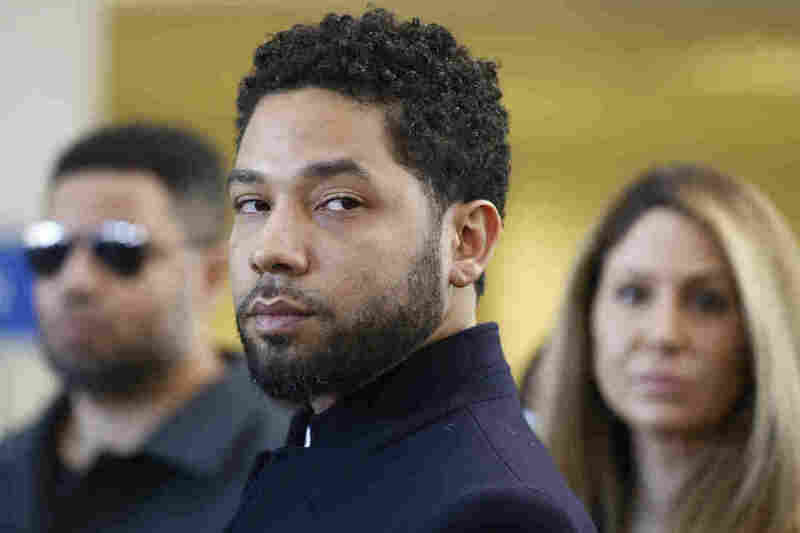 "Shortly after the incident occurred in late January, State's Attorney Foxx had conversations with a family member of Jussie Smollett about the incident and their concerns, and facilitated a connection to the Chicago Police Department who were investigating the incident," a representative of the office later explains in a statement. According to the statement, Foxx "decided to remove herself from the decision making in this matter and delegated it to her First Assistant Joseph Magats." The Cook County State's Attorney's Office approves charging Jussie Smollett with filing a false police report, a felony that carries a penalty of up to three years in prison. Smollett surrenders to police early the next day. 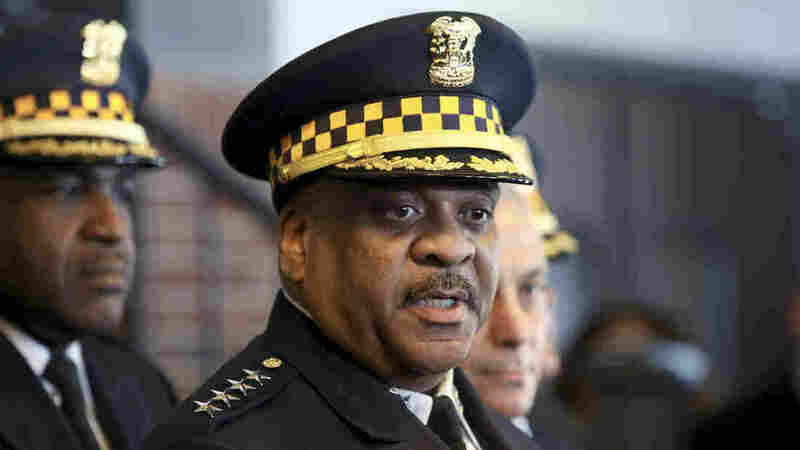 Chicago Police Superintendent Eddie Johnson speaks in no uncertain terms about the case and Smollett himself, who is quickly released on bail. "Jussie Smollett took advantage of the pain and anger of racism to promote his career," Johnson tells journalists. "I'm left hanging my head and asking why." He says the threatening letter Smollett received on Jan. 22 was orchestrated by the actor "to gain attention." And "when that didn't work," Johnson says Smollett approached the brothers and "paid $3,500 to stage this attack and drag Chicago's reputation through the mud." In a proffer read later that day in court, authorities explain in painstaking detail how they believe Smollett planned and carried out the alleged hoax — including how he selected the location where it occurred and how the brothers fled the scene and later the country. Chicago Mayor Rahm Emanuel weighs in, as well: "A single individual who put their perceived self-interest ahead of these shared principles will never trump Chicago's collective spirit," he says. Smollett's attorney dismisses the police claims as "outrageous allegations" that the actor "vehemently denies." According to his lawyer, Smollett "wants nothing more than to clear his name." The producers of Empire announce that Smollett's character on the show, Jamal, will be removed from the program's final episodes of the current season. In a joint statement released a day after his arrest, they say that while "we care about him deeply," they were making the move in order "to avoid further disruption on set." The producers, including Danny Strong and Lee Daniels, do not address the actor's status on seasons to come. A Cook County grand jury significantly magnifies the legal jeopardy facing Smollett, returning 16 felony counts of disorderly conduct against him for filing a false police report and making false statements to Chicago officers. Each of the charges carries a possible sentence of up to three years in prison. The Cook County State's Attorney's Office abruptly drops the charges against Smollett, explaining in a brief statement that the move was mostly motivated by "Mr. Smollet[t]'s volunteer service in the community and agreement to forfeit his [$10,000] bond to the City of Chicago." First Assistant State's Attorney Joseph Magats, who took over the case after Kim Foxx's recusal, says the decision should not be seen as an exoneration of Smollett or "some kind of admission there was something wrong with the case." Nevertheless, Smollett and his attorneys celebrate the surprise reversal as an indication that the actor was an innocent victim of "an inappropriate rush to judgment." "I've been truthful and consistent on every single level since day one," Smollett tells reporters after a court hearing in Chicago. "I would not be my mother's son if I was capable of one drop of what I was being accused of." Chicago's local authorities, however, express outrage at the prosecutors' decision — and a firm conviction that Smollett perpetrated a hoax. "I've heard that they wanted their day in court with TV cameras so America could know the truth," Chicago Police Superintendent Johnson says, "and now they chose to hide behind secrecy and broker a deal, to circumvent the judicial system." Mayor Rahm Emanuel, speaking at the same news conference as Johnson, echoes that sentiment. "It is not on the level, from beginning to end," he says. "There needs to be a level of accountability throughout the system, and this sends an unambiguous message that there is no accountability. And that is wrong." Chicago authorities, still upset with the outcome of the case against Smollett, demand a payment from the actor to recoup the money spent on investigating his report. The total, laid out in a letter from the city's legal counsel to Smollett's attorneys, comes to $130,000 — much more than the $10,000 bond he elected to forfeit. During a news conference held the same day the letter was sent, Mayor Rahm Emanuel makes clear he remains convinced of Smollett's guilt. "When he does pay the city back for just purely what the taxpayers have fronted," Emanuel says, "in that memo section [of the check], he can write, 'I'm sorry, and I'm accountable for what I've done.' "
Just a couple of weeks after threatening to seek repayment for its expenses investigating Smollett's claims, Chicago authorities do just that in court. The city's corporation counsel, Edward N. Siskel, files a complaint in the Circuit Court of Cook County, Ill., requesting that the actor pay a civil penalty of $1,000 for each of his "numerous false statements of material fact." "This follows his refusal to reimburse the City of Chicago for the cost of police overtime spent investigating his false police report on January 29, 2019," Bill McCaffrey, a spokesman for the city's Department of Law, tells NPR in a statement. In the complaint, authorities once more lay out the police case against Smollett. In the process, attorneys note that the city "expended significant resources and manpower, including, but not limited to, $130,106.15 in [Chicago Police Department] overtime pay that the City paid solely due to Defendant's false statements." State's Attorney Kim Foxx, who has come under significant criticism for dropping the charges against Smollett, announces that she has requested an independent review of how she and her office handled the case. "A former prosecutor, Inspector General Blanchard has been conducting independent inquiries for Cook County for over a decade," she explained in a statement released by her office. "Ensuring that I and my office have the community's trust and confidence is paramount to me, which is why I invited an independent review of this matter. I welcome this investigation and pledge my full cooperation and the cooperation of my office as IG Blanchard conducts his review."